Reading and share top 468 famous quotes and sayings about Introduce by famous authors and people. Browse top 468 famous quotes and sayings about Introduce by most favorite authors. 1. "I was modeling with an agency in New York and a manager with the agency introduced himself to me one day and he said he had auditions for someone my age. He asked if I would be interested in doing some." 2. "My parents cultured me a lot and they introduced me to a lot of artists, a lot of their friends." 3. "My mother was against me being an actress - until I introduced her to Frank Sinatra." 4. "I hope I don't look as sick as I feel. "The generals couldn't have picked a worse candidate for that Gift!" Holding my stomach doesn't stop it from churning. I can't imagine befriending Goliath and then leading him to the Syrena to be eaten. But I also can't imagine letting Galen or Toraf starve. Probably not Rayna either. It's time to introduce my new friends to the world of pizza...."
5. "And you were sort of hypnotized by your boot or shoe or a finger-nail as it might be,and at the same time you were sort of picked up by the old scruff and shook like you might be a cat.you got shook and shook till there was nothing left.you lost your name and your body and your self and you just didn't care,and you waited until your boot or finger-nail got yellow,then yellower and yellower all the time.then the lights started cracking like atomics and the boot or finger-nail or,as it might be,a bit of dirt on your trouser-bottom turned into a big big big mesto,bigger than the whole world,and you were just going to get introduced to old Bog or God when it was all over.you came back to here and now whimpering sort of,with your rot all squaring up for a boohoohoo.now that's very nice but very cowardly.you were not put on this earth just to get in touch with God.that sort of thing could sap all the strength and the goodness out of a chelloveck." 6. "For, usually and fitly, the presence of an introduction is held to imply that there is something of consequence and importance to be introduced." 7. "I've just been very, very lucky with the film having been introduced in the right way." 8. "Talk to people no one else is talking to. Who would have thought that giving a speech at a funeral at age 12 would introduce me to a man who would introduce me to my first business contact who would introduce me to several other important people in my life. That's luck. That's randomness." 9. "If you can eat 70 percent raw or introduce raw into your diet, it will help your health." 10. 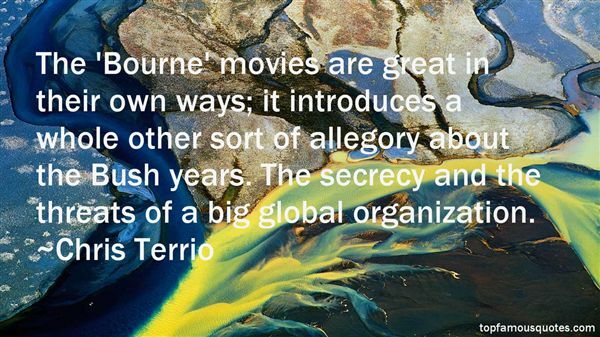 "The 'Bourne' movies are great in their own ways; it introduces a whole other sort of allegory about the Bush years. The secrecy and the threats of a big global organization." 11. "What I said to God through my gasping sobs was something like this: 'Hello, God. How are you? I'm Liz. It's nice to meet you.' That's right- I was speaking tot he creator of the universe as though we'd just been introduced at a cocktail party. But we work with what we know in this life, and these are the words I always use at the beginning of a relationship. In fact, it was all I could do to stop myself from saying, "I've always been a big fan of your work.." lol"
12. "I feel grateful for the slight sprain which has introduced this mysterious and fascinating division between one of my feet and the other. The way to love anything is to realise that it might be lost. In one of my feet I can feel how strong and splendid a foot is; in the other I can realise how very much otherwise it might have been. The moral of the thing is wholly exhilarating. This world and all our powers in it are far more awful and beautiful than even we know until some accident reminds us. If you wish to perceive that limitless felicity, limit yourself if only for a moment. If you wish to realise how fearfully and wonderfully God's image is made, stand on one leg. If you want to realise the splendid vision of all visible things-- wink the other eye." 13. "Where are my manners? We haven't been properly introduced. I'm Surah." 14. "All places where women are excluded tend downward to barbarism; but the moment she is introduced, there come in with her courtesy, cleanliness, sobriety, and order." 15. "I went to drama school for three years, and the whole thing there is that hopefully you are introduced to a man called William Shakespeare who is the greatest of all time of all storytelling." 16. "Before I was through my teens, I had been introduced and exposed to artists who would, in later years, become legendary." 17. "His name was Tom Tombstone, and if he had a middle name it was probably Death. But I didn't call him Tom, or even Mr. Tombstone, because he introduced himself as Robert Winston. And I wondered how this stranger could shake my hand, look me in the eye, smile, and expect me to believe such a bold-faced lie?" 18. "The Sweat and the Furrow was Silas Weekley being earthly and spade-conscious all over seven hundred pages. The situation, to judge from the first paragraph, had not materially changed since Silas's last book: mother lying-in with her eleventh upstairs, father laid-out after his ninth downstairs, eldest son lying to the Government in the cow-shed, eldest daughter lying with her lover in the the hayloft, everyone else lying low in the barn. The rain dripped from the thatch, and the manure steamed in the midden. Silas never omitted the manure. It was not Silas's fault that its steam provided the only uprising element in the picture. If Silas could have discovered a brand of steam that steamed downwards, Silas would have introduced it." 19. "Get it off," she said, jerking their bound wrists up and holding them up under his nose. "I thought perhaps we might at least introduce ourselves," he said lightly. "Get it off! ""What shall I call you?" he asked as he pulled her to the table and removed the silver dome on the platter. Mutton stew, by the smell of it. Not a single knife to be had. "Lover? ""Rest assured you'll never need to call me anything at all!" she said with admirable conviction. "You may reduce your rancor and save it for when you might need it," he said calmly. "I am as enchanted by this arrangement as you are. May I remove your brooch?""Pardon? ""Your brooch," he said, looking at the small gold ring-shaped brooch that held her shawl on her shoulder.Her eyes narrowed.Jack knew that look and gestured to their wrists. "Rein in your thoughts, lass. I need something to get it off." 20. "Thinking - in particular abstract thinking, which most of us are introduced to through the study of mathematics and literature - helps us learn that we can become problem solvers." 21. "Cameras give one person a thousand eyes. They take us light years away. Pictures introduce us to a million strangers. They let us travel to other planets. It's like teleporting. It's the magic that intrigues me." 22. "At first, we lived in very, very small places... with my mom cleaning houses and scrounging up just enough to keep us in town with a working car. She introduced me to my first agent, and I started with stand-in work, then eventually commercials and television guest-shots." 23. "The tour bus is always fun, and there's plenty of time to watch movies. Actually, Kanye introduced me to the movie 'Step Brothers.' We were sitting there, watching it and clowning around - it was so funny, man." 24. "'Fiancee' is a very fun word to say, because I never thought I would have a fiancee or be a fiancee. Sometimes when I would introduce myself and say, 'This is my girlfriend Melanie,' it wasn't always clear what I meant. Now I get to say, 'This is my fiancee Melanie.'" 25. "How do you introduce boyfriend C to boyfriend A after boyfriend A has been such a good sport, of late, about boyfriend B, who is no longer in the picture?" 26. "Theologically, the demand for "circumcision" can take many forms, even today. It appears whenever one thinks along these lines: "Faith in Christ is fine as far as it goes, but your relation to God is not really right and your salvation not adequate unless…" It does not matter how the sentence is completed. Whenever such fine print is introduced to qualify trust/faith, there is "circumcision," and Paul's defense of the adequacy of trust/faith can come into its own again. The Galatian situation is never far; in fact, it is all too familiar." 27. 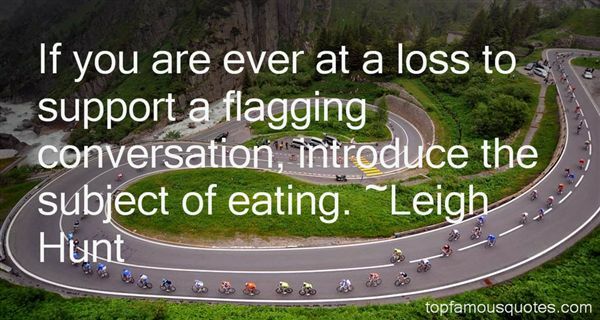 "If you are ever at a loss to support a flagging conversation, introduce the subject of eating." 28. "Just introduce a woman, conspiracies succeed; Of soldiers, or their weapons, there really is no need." 29. "I'm not familiar with this word you were repeating before…‘cojones', was it? "I blushed as Dominick patted me on the back. "Way to introduce him to the vernacular, Palta." 30. "We got government off the backs of the people of India, particularly off the backs of India's entrepreneurs. We introduced more competition, both internal competition and external competition. We simplified and rationalized the tax system. We made risk-taking much more attractive." 31. "There had been a frozen mist here, and the trees were spun into feathers. Their fragile brilliance made me wonder why, into the spotlessness of Creation, God had seen fit to introduce soiling, twisting, rampaging, Man." 32. "America and Greece are at different stops on the same one-way street, all too familiar to us immigrants. There's nothing new about Obama: been there, done that. Nothing could be less hopeful, or less of a change. He's the land where we grew up, with its union bullies and marginal tax rates and government automobiles and general air of decay all re-emerging Brigadoon-like from the mists entirely unspoilt by progress. it's like docking at Ellis Island in 1883, coming down the gangplank, and finding everyone excited about this pilot program they've introduced called "serfdom"." 33. "But they (the infantry) had no use for boys of twelve and thirteen, and before I had a chance in another war, the desire to kill people to whom I had not been introduced had passed away." 34. "I'm not playing myself. It's a symbolic situation, where I want to introduce a fascist behind the table. I couldn't have had anybody else do that; for it to be successful, I had to do it myself." 35. "I get really excited if I think I'm going to introduce somebody to a writer they haven't found before and I think they'll love. My favorite books to get as gifts are any that the giver is messianic about." 36. "My stepfather introduced me to The London Library when I was about 18; the clientele has definitely changed since then, but it is still a wonderful oasis in the middle of London." 37. "In this book, we will naturally be dealing primarily with the manifestations of the third level of immunity. I gather material on the biography of Homo immunologicus, guided by the assumption that this is where to find the stuff from which the forms of anthropotechnics are made. By this I mean the methods of mental and physical practising by which humans from the most diverse cultures have attempted to optimize their cosmic and immunological status in the face of vague risks of living and acute certainties of death. Only when these procedures have been grasped in a broad tableau of human 'work on oneself' can we evaluate the newest experiments in genetic engineering, to which, in the current debate, many have reduced the term 'anthropotechnics', reintroduced in 1997." 38. "Once social media was introduced, it enabled a new way for people, particularly the younger generation, to connect with one another, based on common interests, goals and even values." 39. "Religion is so frequently a source of confusion in political life, and so frequently dangerous to democracy, precisely because it introduces absolutes into the realm of relative values." 40. "Every brush stroke on the canvas, every dab of color introduced, the fine textures impressed in the paint—this accumulation of many small acts combines to shape a final work of art. And so it is with life; each step, each deed, each brief choice builds gradually, day by day, to shape both character and destiny." 41. 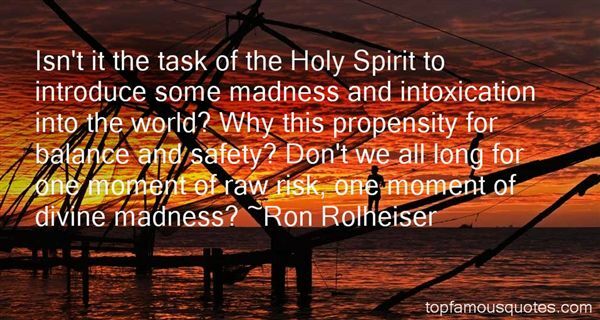 "Isn't it the task of the Holy Spirit to introduce some madness and intoxication into the world? Why this propensity for balance and safety? Don't we all long for one moment of raw risk, one moment of divine madness?" 42. "I've enjoyed the comicbook writings of Warren Ellis since a friend introduced me to Transmetropolitan via the "holiday special" in collected volume three. Ah yes, Scott and Edé's housewarming, I had passed out in a chair, our friend Aeric on the couch, and I woke up to the sound of Edé's girlfriend coming downstairs and asking Aeric, "what'cha got there?" and Aeric replied, "I'm not sure, but it's psychotic. Ru, are you up yet? You have to see this when I'm done." Everyone else should be so lucky to have such an introduction to Ellis." 43. "Golden eagles don`t mate with bald eagles, deer don`t mate with antelope, gray wolves don`t mate with red wolves. Just look at domesticated animals, at mongrel dogs, and mixed breed horses, and you`ll know the Great Mystery didn`t intend them to be that way. We weakened the species and introduced disease by mixing what should be kept seperate. Among humans, intermarriage weakens the respect people have for themselves and for their traditions. It undermines clarity of spirit and mind." 44. "A driver had been sent to meet us. He was gray-haired, short, and nimble and introduced himself. "I am Patrick and so is every fourth man in Ireland, and the ones in between are named Sean or Mick or Finn, and I'll be driving you." 45. "The gender stereotypes introduced in childhood are reinforced throughout our lives and become self-fulfilling prophesies. Most leadership positions are held by men, so women don't expect to achieve them, and that becomes one of the reasons they don't." 46. "My physics teacher, Thomas Miner was particularly gifted. To this day, I remember how he introduced the subject of physics. He told us we were going to learn how to deal with very simple questions such as how a body falls due to the acceleration of gravity." 47. "And in my heart I despised the life I led in Seattle. I was sick of it and had no idea how to change it. I thought that in Chinook, away from Taylor and Silver, away from Marian, away from people who had already made up their minds about me, I could be different. I could introduce myself as a scholar-athlete, a boy of dignity and consequence, and without any reason to doubt me people would believe I was that boy, and thus allow me to be that boy. I recognized no obstacle to miraculous change but the incredulity of others. This was an idea that died hard, if it ever really died at all." 48. "Why do I have a sense of impending disaster? (He reflects) Sonders is after my niece and has discovered the secret address where I am sending her to the safe keeping of my sister-in-law Miss Blumenblatt, who has never laid eyes on him, or, for that matter, on Marie either since she was a baby—while I have to leave my business in the charge of my assistant and an apprentice, and follow my new servant, whom I haven't had time to introduce to anyone, to town to join the parade and take my fiancée to dinner in a uniform I can't sit down in.One false move and we could have a farce on our hands." 49. "I wish I loved the Human Race;I wish I loved its silly face;I wish I liked the way it walks;I wish I liked the way it talks;And when I'm introduced to one,I wish I thought "What Jolly Fun!" 50. "The art of advertisement, after the American manner, has introduced into all our life such a lavish use of superlatives, that no standard of value whatever is intact." The older i got, the taller i got, the more that hole within me stretched until it was gaping throughout my adult life, like a wide eyed jaw-dropping fish on ice..."